So you’ve got 36 hours to kill in Auckland (conveniently happening to fall on a weekend, of course! )… what do you do? Here are some suggestions for what we would consider our ideal weekend in the City of Sails. Start off your 36 hours in Auckland by going Mexican and eating some delicious pulled pork or fish tacos and drinking a black doris plum margarita at Mexico in Britomart. Enjoy a morning coffee and sweet treat at one of Auckland’s farmers markets. We particularly like La Cigale in Parnell (central Auckland) and Clevedon Market in Clevedon (about half an hour southeast of Auckland). Pick up some goodies for a picnic lunch from the market. 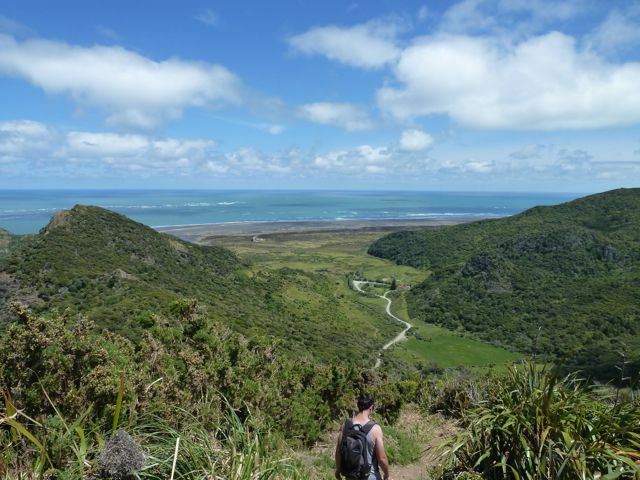 Head out west to the Waitakere Ranges, and get your walking shoes on. It’s a beautiful drive, so take your time. There are heaps of short bush walks in this regional park. 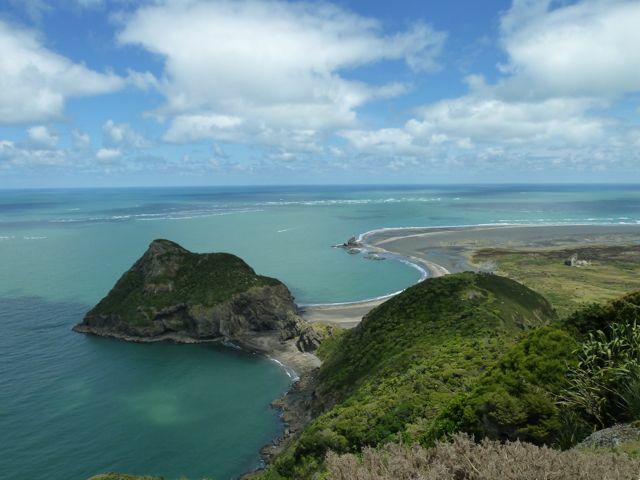 One of our favourites is the Omanawanui Track at the southern end of the park, near Whatipu. Take the food you purchased at the market and eat lunch at the trig station on this track – the views are magnificent! After returning to the city from your walk in the bush, have a drink upstairs at Tyler Street Garage in Britomart before dinner. For a great spot in the city that serves delicious kiwi fare, try Depot Eatery on Federal Street, next to the Skytower. You can’t book a table, so turn up early and have a drink and some snacks at the bar outside. We recommend the snapper sliders (mini burgers) and the potato skins! To start a good night out, have a cocktail at Fukuko in Britomart. There are heaps of fun bars around the Britomart Precinct to keep you entertained! Head around the bays to the east of the city and stop at Mission Bay. Hire a bike (they have tandems too) and cycle to St Heliers Bay, about 2.5 km away. Have a lazy brunch at St Heliers Bay Cafe & Bistro – delicious food and great coffee to be had there! Cycle back to Mission Bay and drop your bike off, then head back into the city for some retail therapy around Britomart, and wander over to Wynyard Quarter to check out the amazing super yachts. While away the afternoon at Britomart Country Club, where you can play mini-golf and petanque while having a beer and a pizza and catch some good tunes. If you’re not after a drink, you could catch a ferry across the harbour to Devonport and wander around the quaint village there – an ice-cream always goes down well there too! We hope you enjoyed your 36 hours in our home city! Hi Petra! I will be doing the New Zealand itinerarie in a week that you suggested. I would like yo know uf you hace any hotel or b&b to recommend me. Most important were should I be styaing in Auckland. I am travelling with muy husband for out honeymoon in jaunaury and your advice have been very useful! ! Awesome that you’re doing our itinerary! I suggest looking on Airbnb for places to stay, there are some great places on there. Look for the Airbnb link in the sidebar of this page and you’ll save money on your first booking! You should stay pretty central in Auckland city. Around britomart or queen street is good. Hope you have an awesome time!